Because of her, there was ‘Nila Kaigiradhu’ in the movie Indira. A new talent was found in 1995, at a tender age of 13, thanks to A.R.Rahman for the brilliant score, Harini was on her way to success. Harini has to her kitty over 2000 notable songs. 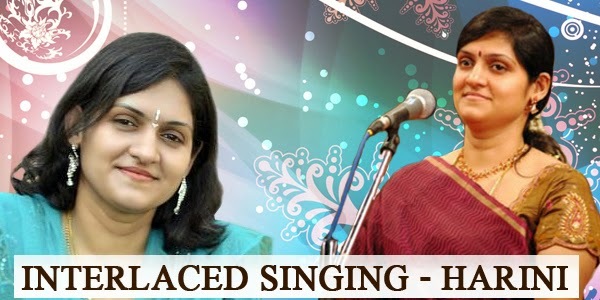 A plus in her singing is her versatility in terms of adapting to light music and carnatic music which is loved by all the music directors. We could even call her a prodigy, she sang another hit ‘TelephoneManipol’ the following year after her hit with ‘Nila Kaigiradhu’. Following this were a series of hit like ‘Manam Virumbuthey Unnai’ and “HelloMr.Ethirkachi’. Her career has been spanning steadily throughout and infact if directors had to rely on a singer for pulling off a high pitched note, they would all opt for this singer undoubtedly. In 2002, another challenging song that Harini pulled off with ease was the song ‘ Aalankuyil koovum rayil’ from the movie Parthiban Kanavu, composed by Vidyasagar.Harini’s sweet yet husky nature of voice texture is a splendor to listen to.Harini has even sung with great singers of all times like S.P.Balasubramanyam and no other song than ‘Azhagana Ratchasiye’ from the movie Mudhalvan describes this best. What a charming duet! Another classy yet a light-listen hit is ‘April Maadathil’ from the movie Vaali starring Simran and Ajith. If you had loved the song ‘Thottal Poo malarum’, you would be able to link to the recent version of the same song sung by the singer for the movie New alongside ace singer Hariharan. A sweet melody to soothe one’s ear! Last year too we heard Harini’s wonderful voice in two movies – Endrendrum Punnagai and Idhu Kathirvelan Kaadhal. The singer ofcourse is a great gift to the industry and we wish her a very happy birthday!